Our petite chairs have all the same features and benefits as our ergonomic office chair range but have been specifically designed for the smaller user. Suitable for both adults and children, our petite chair range enable improved posture and increased comfort. We offer petite office chairs for the working population and petite children's chairs ideal for use in school or at home. 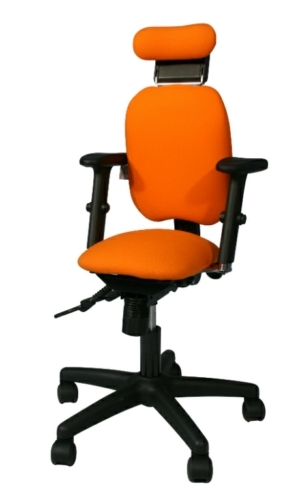 Standard office chairs are built for the mass market and therefore don't account for the requirements of shorter or younger individuals who require a smaller chair. 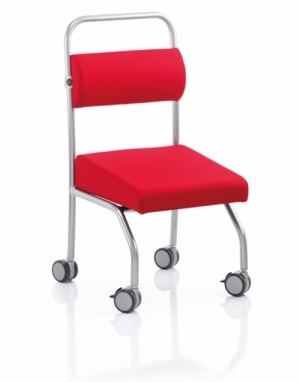 This is where we at Back Care Solutions excel - by providing chairs suitable for any size! Why isn't a standard chair suitable for smaller users? By sitting a shorter user on a standard chair, the chair will be too big for them which can cause multiple issues. 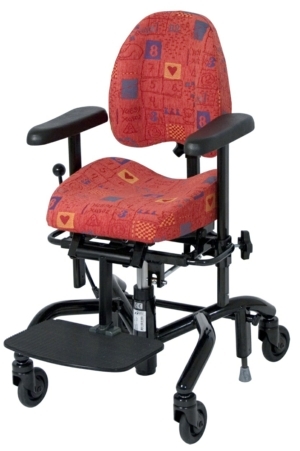 The seat will be too long for the individual which will either cause the seat to dig into the back of their knees - impeding blood flow into the lower leg, or it will force the user to sit on the edge of the seat and not gain support from the back rest. Both of these can lead to long term muscular strain and damage. Ergonomic equipment is best introduced as a preventative method - and the best way to prevent postural problems is to start early! Classroom chairs and children's home desk chairs are not designed ergonomically which can have a significant long-term negative impact on posture. By introducing petite ergonomic chairs at an early age, it will encourage good posture and vastly reduce the chances of musculoskeletal issues arising in adulthood. Adapt 200 petite chairs - These are custom-made chairs to ensure a perfect fit for the smaller user. Simply send us measurements and required features and we can get the chair made as required. Bambu Chair - Designed to grow with the child, this petite ergonomic children's chair is driven by encouraging ergonomics with children at an early age. With an adjustable seat height and back rest height which cleverly increases the size of the chair, the chair provides support from toddler to teen! If you need us to visit to measure and assess an individual for one of our petite chairs then check out our assessment details or get in touch today!